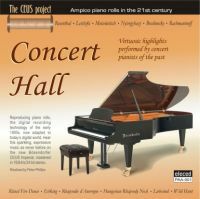 E-roll MIDi files for playing on a reproducing piano fitted with MIDI-operated electric valves. Click on an icon to go to the available selection for that brand. All packages contain a test roll file for the brand of reproducing piano.